Ahead of the deadline on 12 February for a-n members to apply for the 2018 Artist Bursaries, Richard Taylor takes a look at how six members used their 2017 Travel bursaries for research and artistic activity. a-n has been offering travel bursaries for members since 2013. Originally known as ‘Go and See’ bursaries, they quickly built up traction with artists and artist-groups applying for funds to further research and identify new connections. a-n now offer Artist Bursaries for members to pursue self-led professional development. Along with skills development and mentoring, this also includes the opportunity to fund travel — to network with other artists, seek collaborations, and to visit countries or cities pertinent to new or ongoing ideas. In 2017, 24 members received Travel bursaries and all of these have contributed to a-n’s Blogs. Here we highlight six of these, to draw out varied content focusing on topics such as identity, migration, community and nationalism. 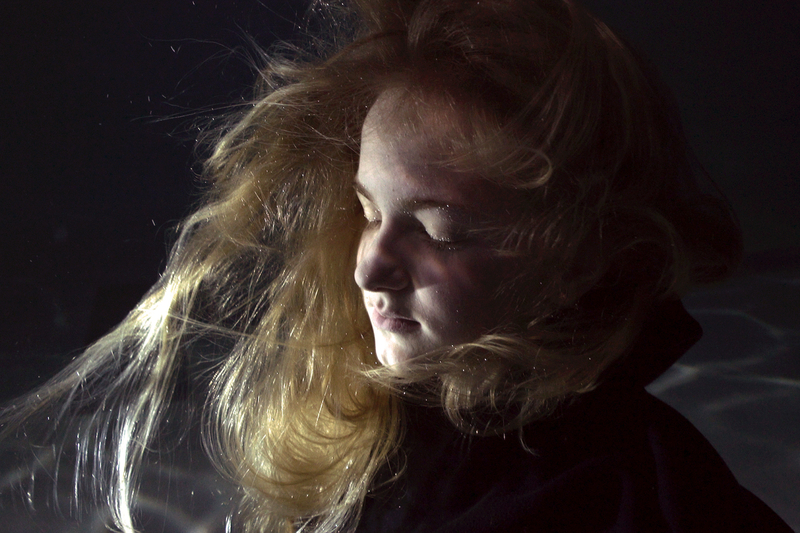 Glasgow-based artist Sogol Mabadi makes performance-orientated work. 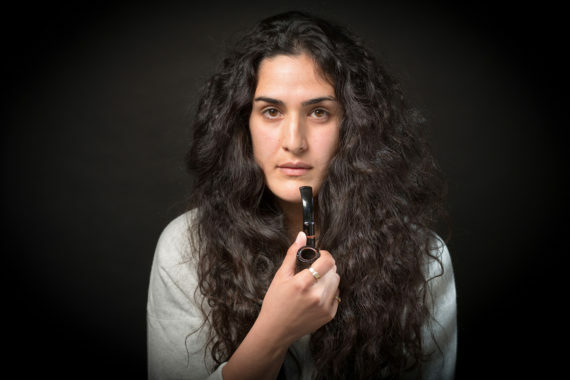 Her practice often delves into her Iranian migrant identity and the connections she makes now with familial and cultural histories. 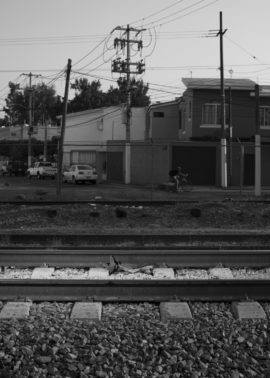 With her Travel bursary she spent time in Tehran, visiting her grandmother and producing photographs during a month of walking the streets of the city in silence. 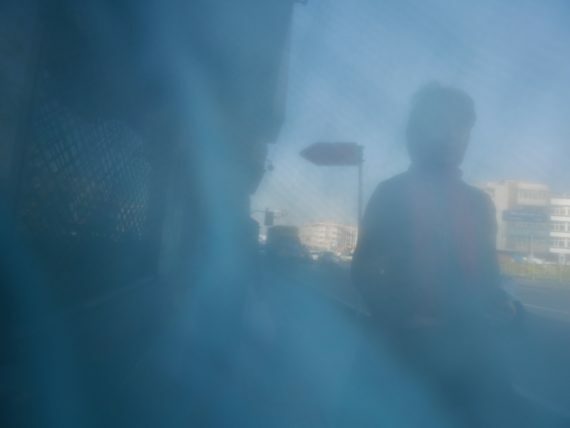 Along with a new body of “hazy” photographic works taken without a viewfinder from behind her headscarf, Mabadi’s research also helped her think of new departures away from her being “dependent on personal material and history”. 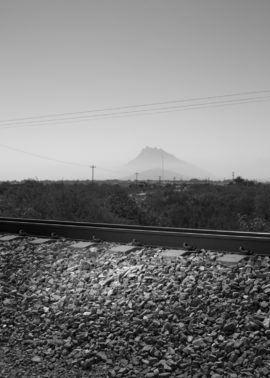 London-based artist and educator Danny Treacy used his bursary for revisiting Mexico, to pursue an ongoing body of work. 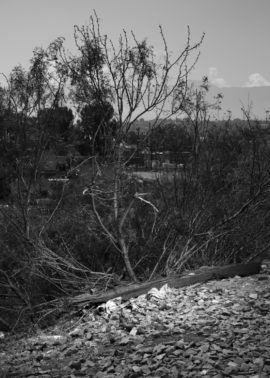 This involved working with groups of participants on “site-specific workshops” to find and document clothing discarded along train tracks in the Jalisco region. 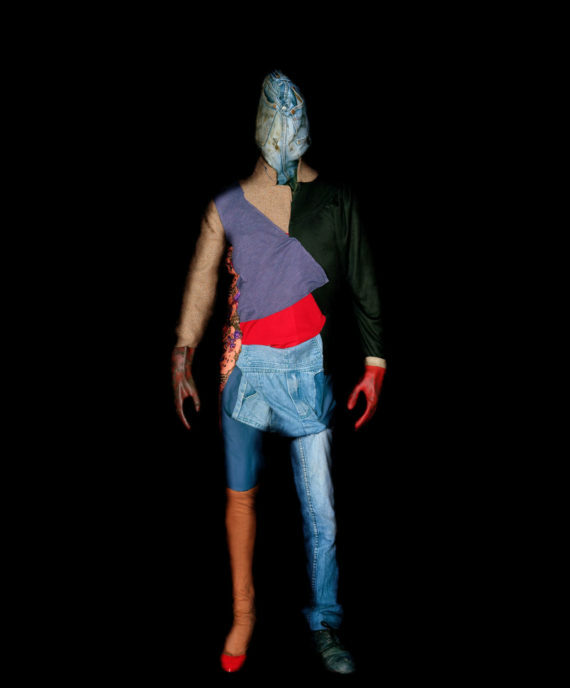 Treacy’s research was spurred by its similarities with his existing Them series; hooded patchwork clothing made for photographic subjects revealing the individual as part of “a mass, unknown and undefined” group. 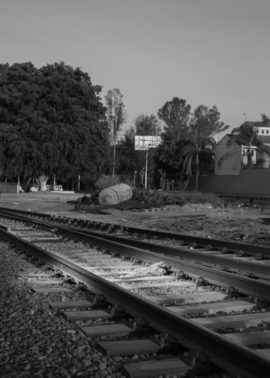 The 2017 bursary period allowed the artist to dig deeper into social anthropological and socio-economic issues connected to migrants, and their restricted yet constant movement as marginalised communities. Sanna Charles used her Travel bursary to visit a number of rural dancers and dance halls in Finland, researching the tradition and its close ties to community. 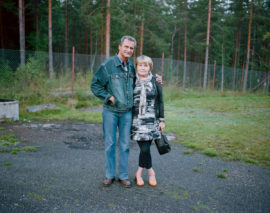 People she met were generous in posing for photographic portraits, which can be seen on her blog Couple Dancing in Rural Finland. 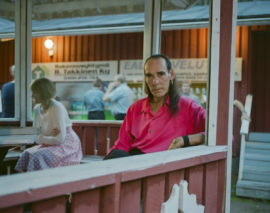 Written as an “unravelling of the people and places” the London-based artist encountered, the blog is a commentary on etiquette practiced by the dancers and a diary of locations visited (Mikkeli, Hartola, Ristina, Mäntyharju). It is also the beginnings of a collection of interviews and collaborations. 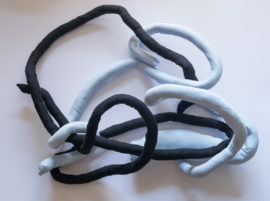 After working on Open Doors, a series of autism-friendly workshops for children and parents at Manchester Art Gallery from 2014 to 2017, Sarah Marsh was invited by Łaznia CSW in Gdansk, Poland, to produce a six-week strand of workshops. The result is Space in the Process. 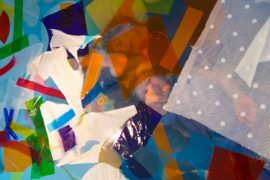 Her bursary allowed her to work in-depth over this period — making objects for participants to touch, move, smell and wear, exploring the benefits of a multi-sensory experience for children with autism. 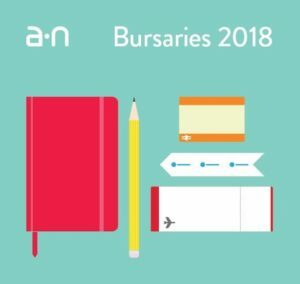 She comments on the bursary experience: “This has been an important turning point for my practice, I found all elements of the process well supported through the a-n team. Presented as a form of mantra, his words embody movement; a key force in the New York/London-based artist’s work as a choreographer and dance artist. He dived straight in with documenting his bursary period, using the blog as a space to reinforce a passionate commitment to his chosen medium, posting GIFs and multiple images alongside blocks of unformatted texts. Sharpe used his bursary to visit Toronto and Montreal in Canada and Vermont in the U.S.A, in order to continue working in duet with Montreal-based choreographer Ellen Furey. Together they focused on, talked about, and moved around the topic of nationalism, rehearsing and developing a new body of work. 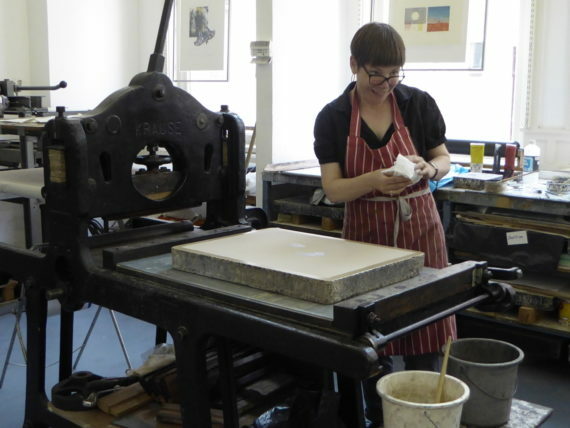 Emma Gregory used her bursary to extend networks in printmaking practice. 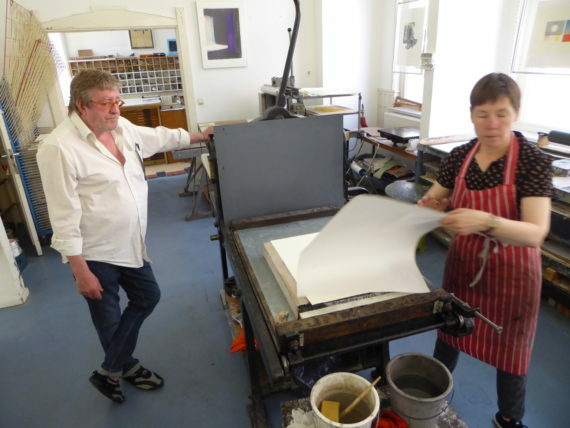 Moving around Europe last year, Gregory used her time to develop drawings as a “principle tool of research” and produce lithographic prints, but also to foster collaborations and working partnerships in the world of printmaking. 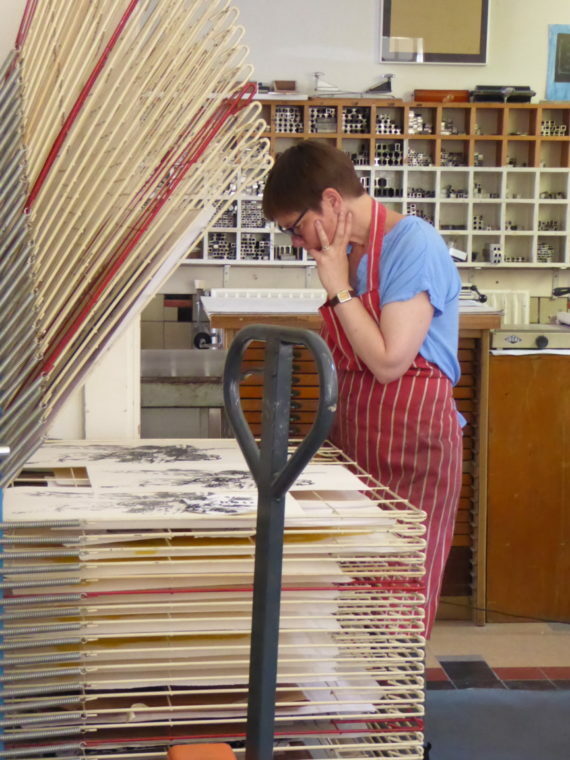 Her blog throws light on the importance of working with technicians amidst the creativity of making print-based work. As well as Grafische Atelier Alkmaar, Gregory’s journeys also to took her to Kölner Graphik Werkstatt in Cologne, Germany. 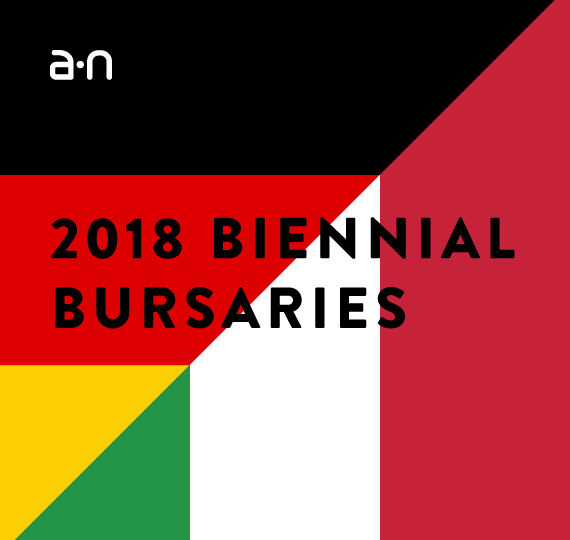 For information on the full range of a-n Bursaries now open for applications, follow this link. 1. 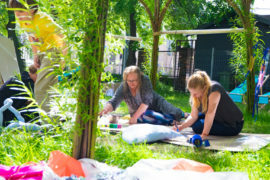 Emma Gregory, at Grafische Atelier Alkmaar (GAA), Netherlands, 2017. 2. Sogol Mabadi, Hosts and Visitors, Reid Gallery, Glasgow School of Art, 2016. Courtesy; artist. Photo; Alan Mcateer. 3. Sogol Mabadi, Lifting the Veil : 1, digital image, 2017. Courtesy; artist. 4. 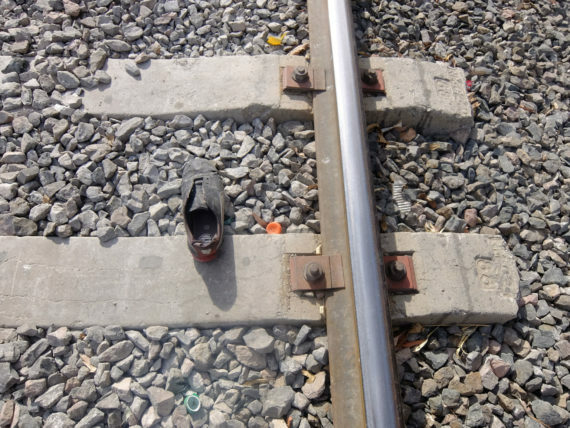 Danny Treacy, Research image of clothing on train tracks (Guadalajara), 2017. Courtesy; artist. 5. Danny Treacy, Belonging #4, #6, #11, #23, (all 2017). Courtesy; artist. 6. Danny Treacy, Them #1, 2008. Courtesy; artist. 7. Sanna Charles, digital image, 2017. Courtesy; artist. 8. Sanna Charles, Tauno, digital image, 2017. Courtesy; artist. 9. Sanna Charles, Tero, digital image, 2017. Courtesy; artist. 10. Sanna Charles, Krouvin Dancers, digital amigo, 2017. Courtesy; artist. 11. Sarah Marsh, 4 images from Space in the Process workshops, Łaznia CSW, Gdansk, 2017. Courtesy; artist. 12. Malik Nashad Sharpe, gif, 2017. Courtesy; artist. 13. 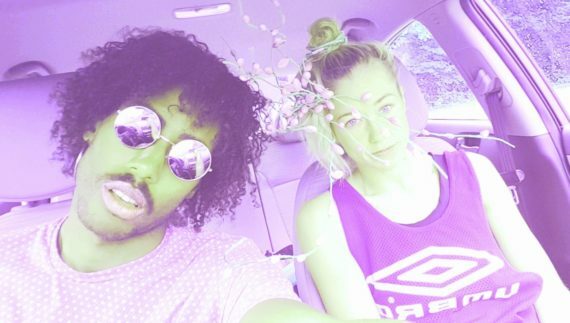 Malik Nashad Sharpe and Ellen Furey, digital image, 2017. 14. Malik Nashad Sharpe, gif, 2017. Courtesy; artist. 15. 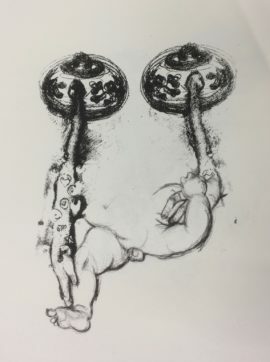 Emma Gregory, On the manual litho press GAA, digital image, 2017. 16. 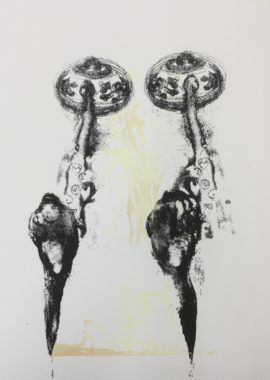 Emma Gregory, “etching and print from my knees”, 2017. Courtesy; artist. 17. Emma Gregory, “etching and screen”, 2017. Courtesy; artist. 18. Emma Gregory with Roll van Laar, waiting to dampen the stone at GAA, 2017.